The Ministry of Education Malaysia (MOE) via the Education Performance and Delivery Unit (PADU) organized a 21st Century Learning Teachers Campaign Launch. The campaign was officiated by the Minister of Education, Dr. Maszlee Malik and was attended by teachers, students, key opinion leaders, and representatives from MOE & PADU. 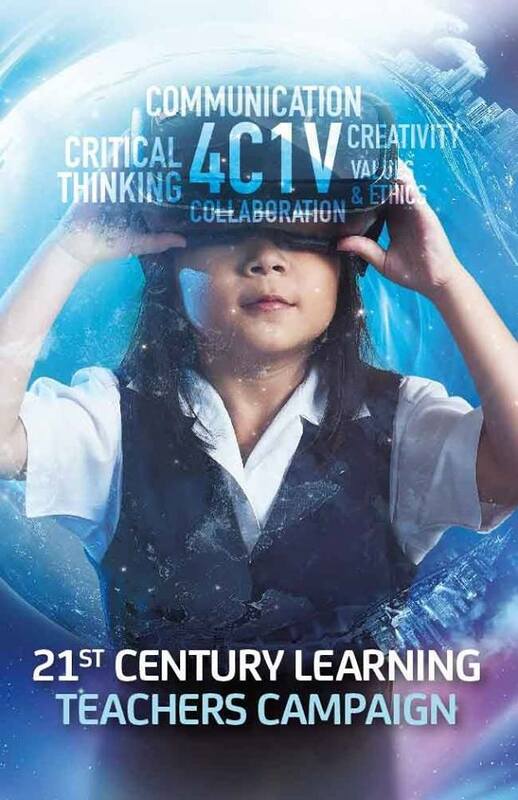 21st Century Learning, or Pembelajaran Abad ke-21 (PAK21), refers to the MOE’s initiative which champions a student-centred learning process that is steered by five elements of communication, collaboration, critical thinking, creativity, and values and ethics (4C1V). PAK21 defines the pertinent knowledge, competency, and characteristics that students should embody to be competitively relevant and empowered to take on the challenges of 21st Century volatilities. The primary objective of the 21st Century Learning Teachers Campaign is to celebrate and share best practices of how teachers bring PAK21 into their classrooms. Teachers who are teaching in Malaysian national schools will be able to upload their creative strategies of bringing PAK21 into their classrooms through a 300-word write-up or a 3-minute video on the campaign’s official website at http://www.gurupak21.com/. At the end of the campaign, 10 teachers with the most effective and creative strategies will be selected to receive professional mentorship, win attractive prizes, and receive a private audience with the Minister of Education, YB. Dr. Maszlee Malik. The event started off with opening remarks by Datin Rosliza Binti Rosli, the Director of the Student Learning Sector of PADU. In her opening remarks, she outlined the importance of the role of teachers in schools in enculturing the much-needed 21st century skills among students. Datin Rosliza cited World Bank’s statistic, which stated that while Malaysian children receive 12 years of education, about 3 of those 12 years did not contribute to meaningful education. This, she said, combined with another World Bank statistic that outlined how Malaysian children only achieve 62% of their full potential, laid out the case for more effective teaching methods through PAK21. that young workers will have to embrace the idea of reskilling and upskilling themselves to stay relevant in the career scene. The Minister ended his speech with an encouragement for every teacher to adapt to the needs of the 21st century and outlined how everyone stands to win from these transformational shifts in education. The launch gimmick witnessed the official campaign website being displayed and a video of the Key Opinion Leader of the campaign, Bront Palarae calling out to the Malaysian teachers to share their teaching experiences by joining the campaign. The event then witnessed Samuel Isaiah, an English teacher from SK Runchang, Pahang (a rural indigenous school), sharing his personal experiences of empowering his indigenous students with 21st century learning skills. He also urged teachers to form a supportive learning community that will further elevate the teaching profession and competition such as this will be a perfect platform to highlight exceptional teachers in the country.